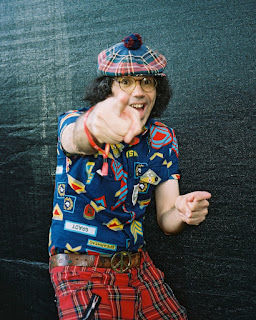 Nardwuar The Human Serviette News: Subscribe to the Nardwuar Podcast ! Every week i do a radio show / podcast on CiTR Radio. You can subscribe to the podcast here or you can search "Nardwuar" on iTunes podcasts! This week i interviewed Steve Ignorant of CRASS! Doot doo ! Pic by Brandon Aritis !